Major Works "Missing, but believed out there"
This section identifies 12 etchings as part of the Cape Town portfolio, published by the Cape Times. This is the complete folio. But in addition I have located a copy of an etching entitled "Corner of Table Mountain", also endorsed Cape Times: So this was apparently part of the folio as well. 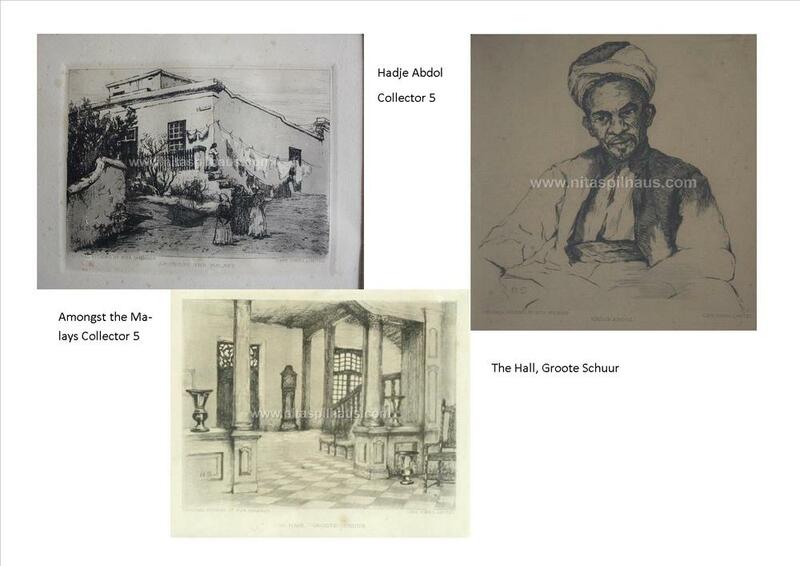 However, the Sanlam Collection includes the latter as a separate signed etching, so it is shown separately below the identified folio etchings. All images and text Copyright Peter Elliott 2016. No reproduction or copying of images is permitted.